This immaculately presented and extended three bedroom semi-detached house is situated on a corner plot and within walking distance to Southgate tube station (Piccadilly Line), Winchmore Hill Green and Grovelands Park. Ground floor accommodation comprises three reception rooms, study, newly fitted kitchen/diner, utility room, guest cloakroom. 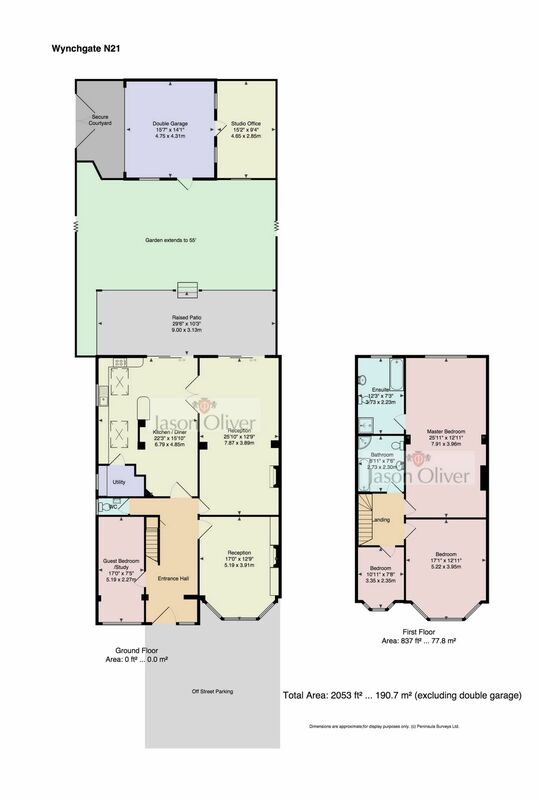 Originally built with four bedrooms, the first floor now comprises three bedrooms with en-suite bathroom to the 20' master bedroom, family bath/shower room. The property also benefits from attractive rear garden leading to spacious garage/office. Existing planning permission for loft extension. Viewing strongly advised.